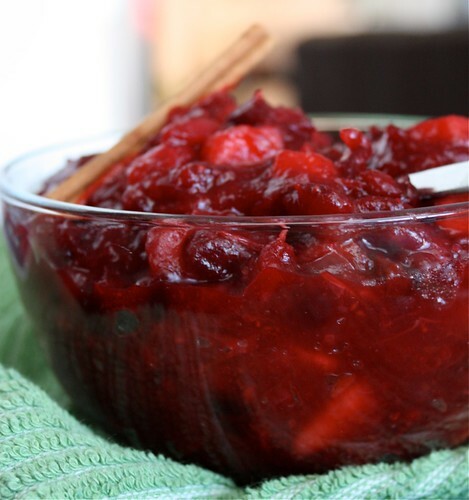 It’s not too late…to make this cranberry sauce! I promise. It is wonderful..super fresh, tart but sweet. 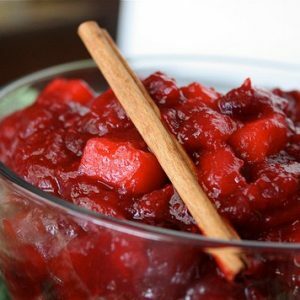 I found the recipe for this Apple-Orange Cranberry Sauce last year on Williams Sonoma’s site. I love that it has chunks of apples in it along with orange zest and juice. And the best part is it will probably be the easiest thing you cook for Thanksgiving dinner. Life is Good. God Bless. In a medium sauce pan, combine fresh squeezed orange juice, zest, apples, cranberries, water, sugar, cinnamon and cloves. Bring to a slow boil, then reduce heat to a simmer. Gently stir occasionally, until cranberries "pop", apple softens and sauce thickens, about 10-15 minutes. Let cool completely before serving. Makes a large batch, perfect for leftovers. Over the years, I've started to reduce the sugar gradually. If you have a sweeter tooth, stick to the two cups. If you are looking to cut back, try with 1 cup of sugar and you can always add more. To help with adding more natural sweetness, I like to include the squeezed halves of oranges and the apple cores to the cooking process and then remove. Cranberry sauce is maybe my FAVORITE part of Thanksgiving. We actually make ours without any cooking. We use an old school grinder- so amazing. i can’t wait for it! Hope you and your family have an absolutely amazing Thanksgiving. oooh that’s very pretty! I’ve never made a cranberry sauce! That looks great! I made PW’s cranberry sauce this year. It was the first time I did anything more than just open a can. If I knew it was that easy I would have started years ago. Pingback: Peanut Butter Runner » Blog Archive » It’s Thanksgiving Eve! homemade cranberry sauce is the best! this looks great, happy thanksgiving! Hope you had a wonderful Thanksgiving! 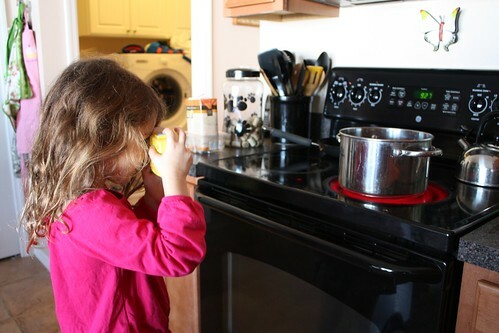 Such a cute pic of your little one and a yummy cranberry sauce! Happy Thanskgiving! That cranberry sauce looks wonderful! Your daughter is such a cutie! 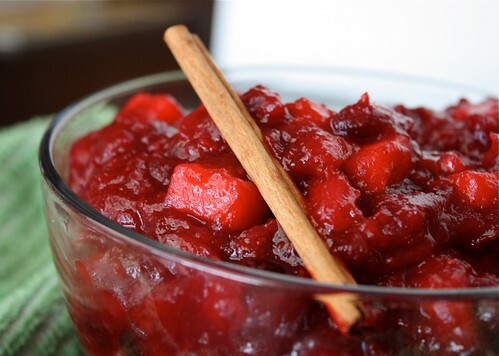 PS ~ Funny enough… this is THE recipe I used for our cranberry sauce this year. Glad to see you made it too…. It got great reviews around our table. I took your suggestion and made a similar cranberry sauce from Williams Sonoma for Thanksgiving. It’s a keeper. I really loved it (mine called for the diced peel of half an orange). The combo of the cranberry, apple, and orange was awesome. Hope you had a wonderful Thanksgiving! Sonoma calls for 2cups of water, but your recipe doesn’t mention water, should I add water? Oh I’m so glad you caught that Shirley, yes, add water, thank you! I will add it back into recipe (my recipe is double the WS one by the way). Happy Thanksgiving!